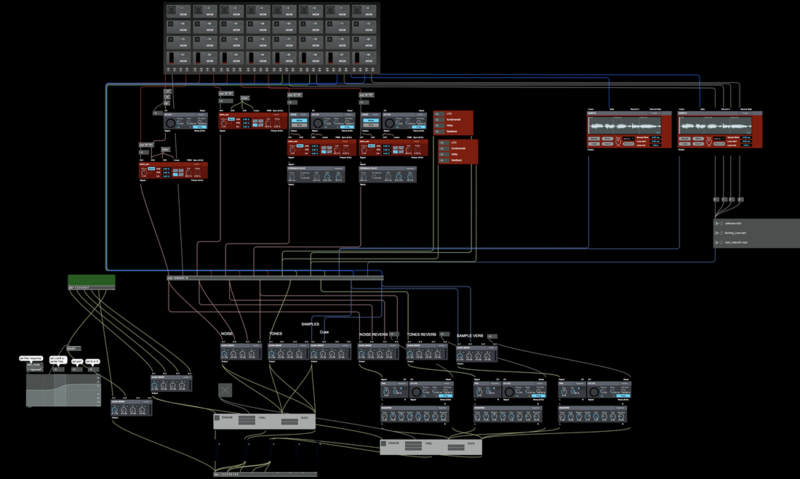 Digital modular synthesis model using MAX/msp BEAP objects. Classic droning oscillators and derived graphics. ​First rendering with Vizzie objects.